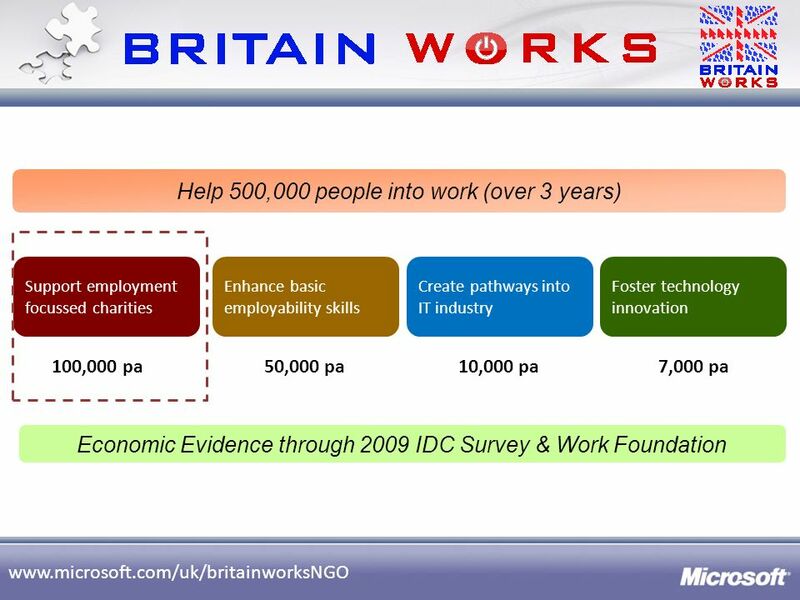 Partnership to re-skill 33,000 people Enabling people to enter workplace or start a business Invested approx £1m over a 3 years Project awarded the BITC Big Tick for excellence in community investment The locations of focus – Dudley, Sandwell, Walsall, Wolverhampton. 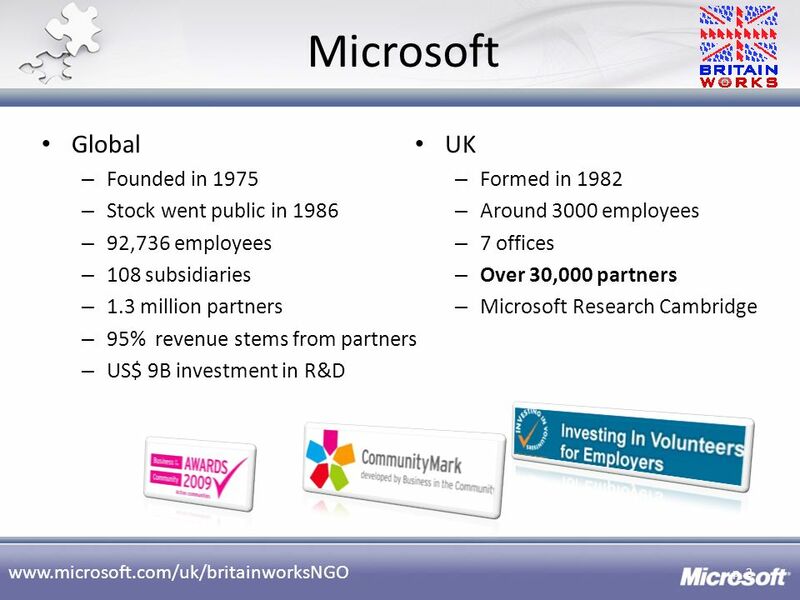 Microsoft in partnership with Black Country Consortium (BCC), RNIB and PRIME. 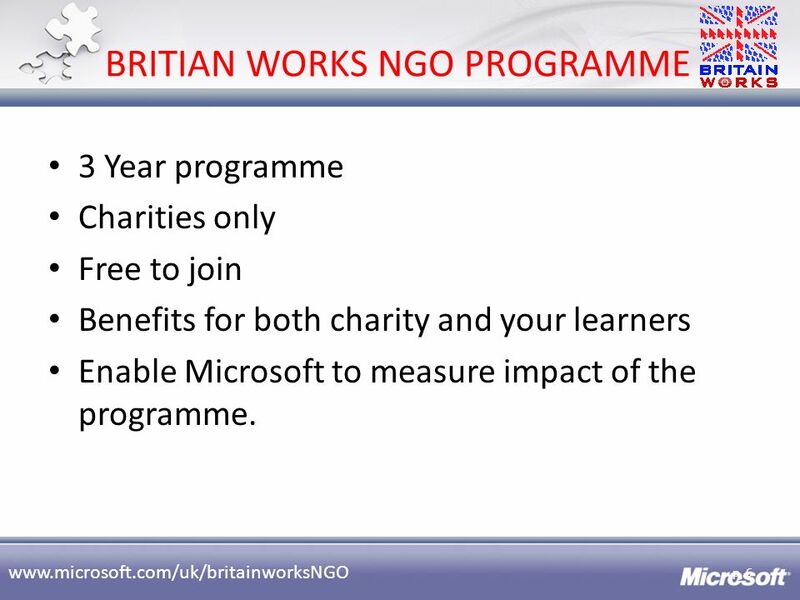 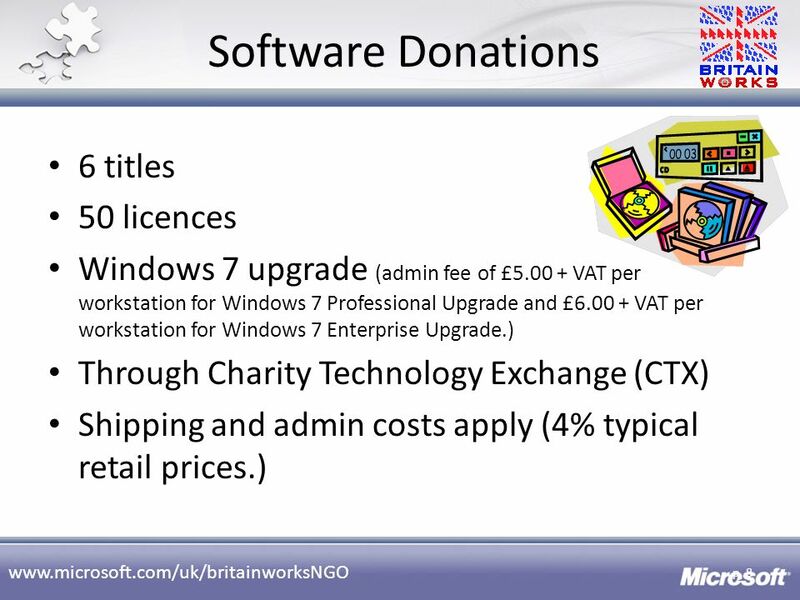 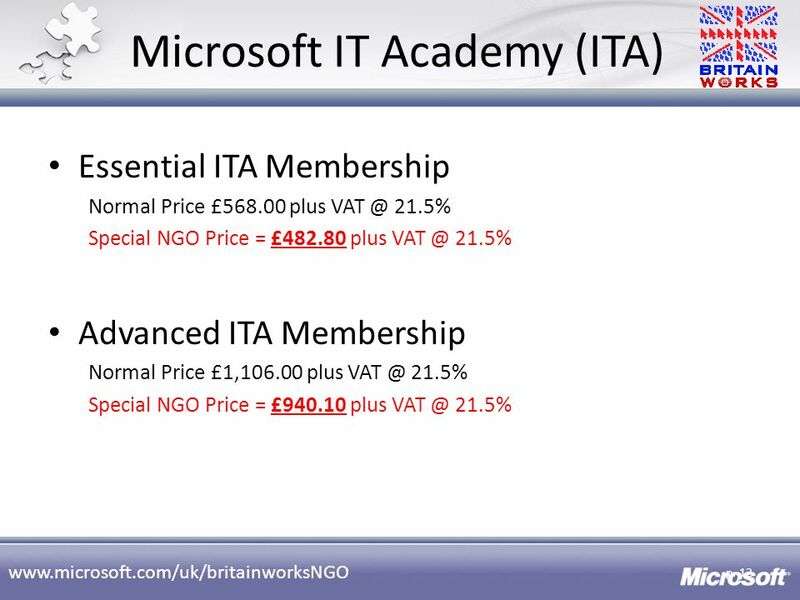 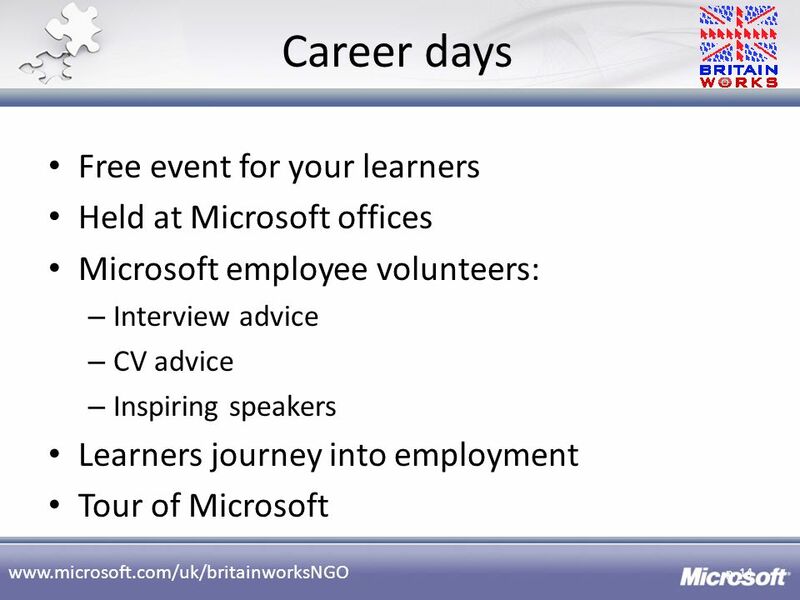 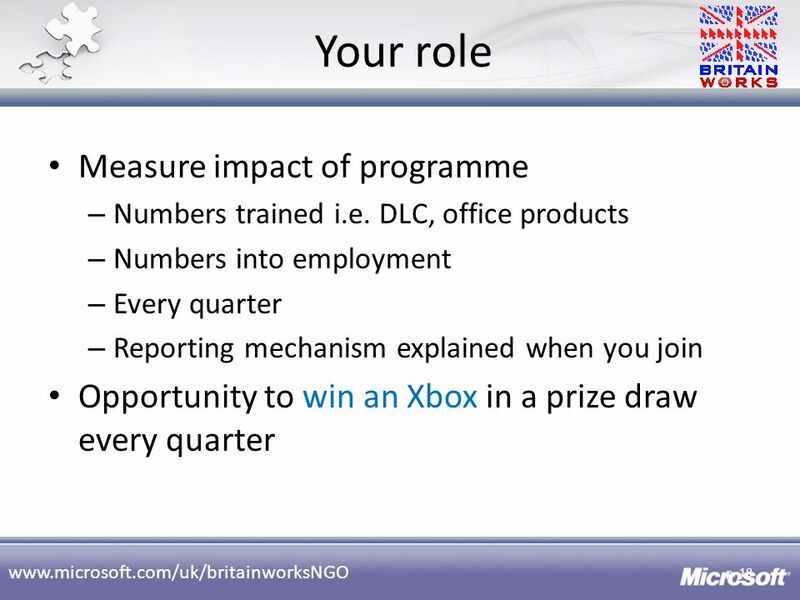 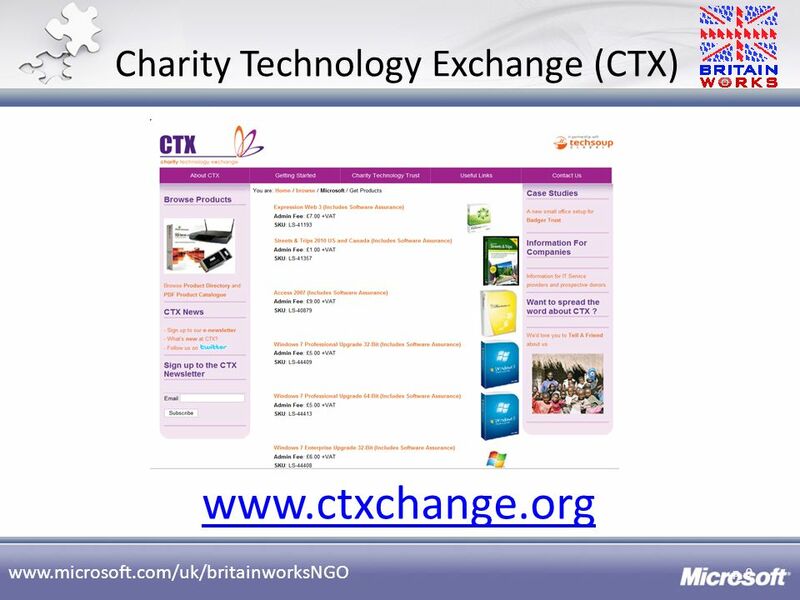 3 Year programme Charities only Free to join Benefits for both charity and your learners Enable Microsoft to measure impact of the programme. 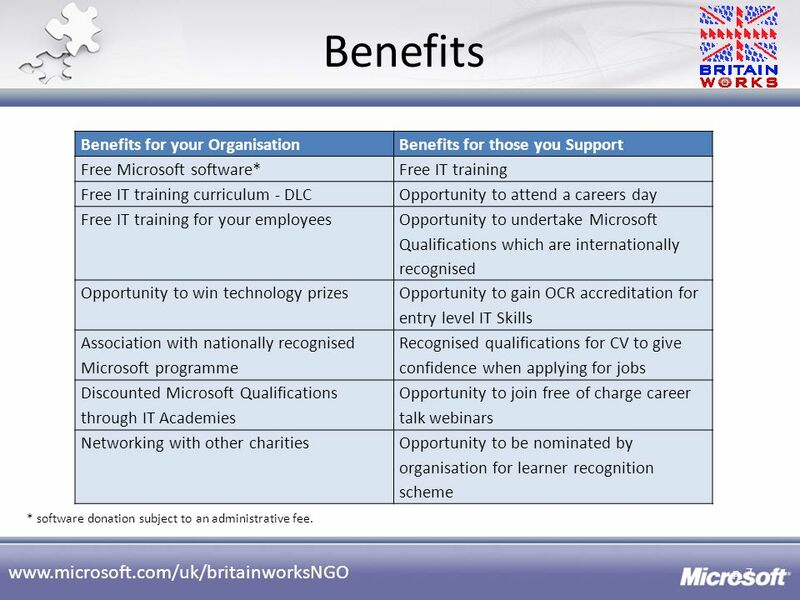 Free Microsoft software* Free IT training Free IT training curriculum - DLC Opportunity to attend a careers day Free IT training for your employees Opportunity to undertake Microsoft Qualifications which are internationally recognised Opportunity to win technology prizes Opportunity to gain OCR accreditation for entry level IT Skills Association with nationally recognised Microsoft programme Recognised qualifications for CV to give confidence when applying for jobs Discounted Microsoft Qualifications through IT Academies Opportunity to join free of charge career talk webinars Networking with other charities Opportunity to be nominated by organisation for learner recognition scheme * software donation subject to an administrative fee. 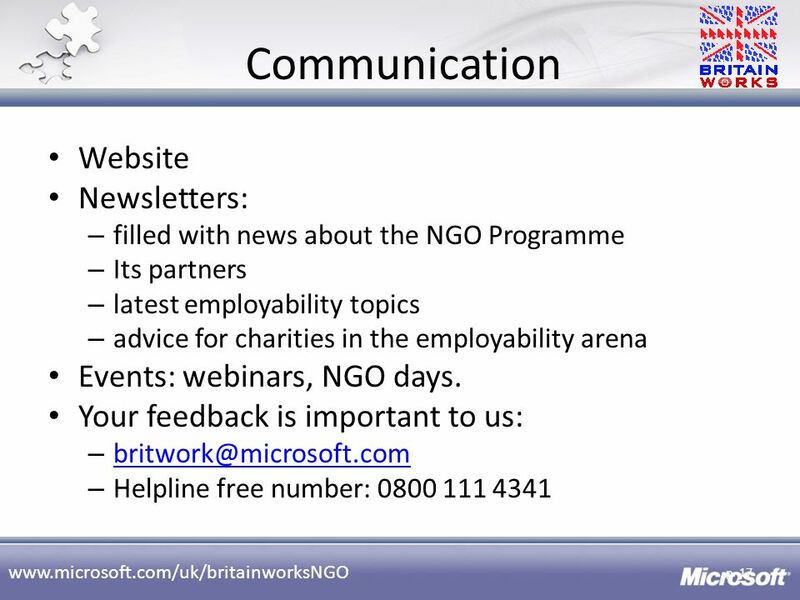 17 Communication Website Newsletters: Events: webinars, NGO days. 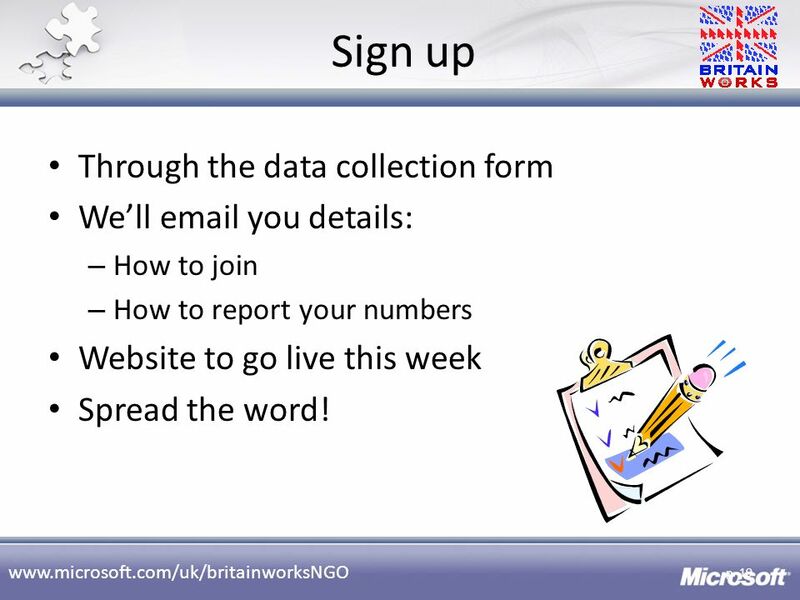 How to join How to report your numbers Website to go live this week Spread the word! 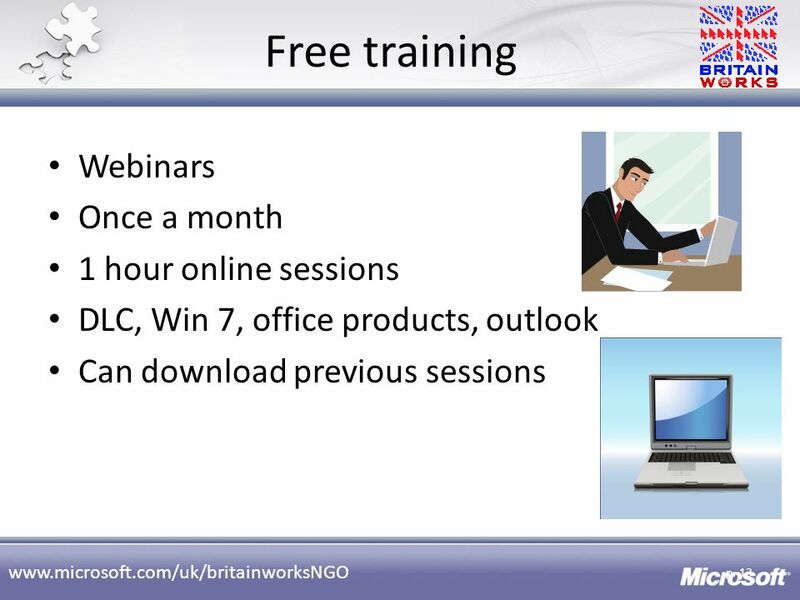 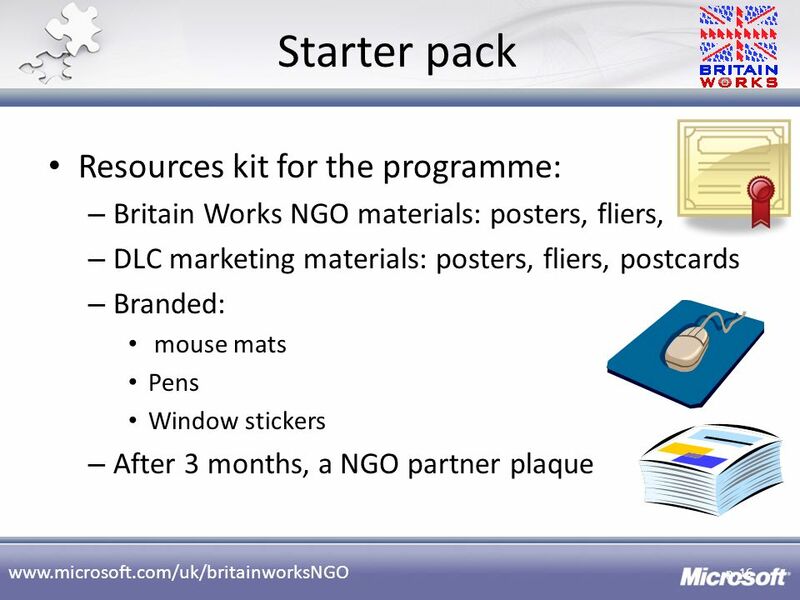 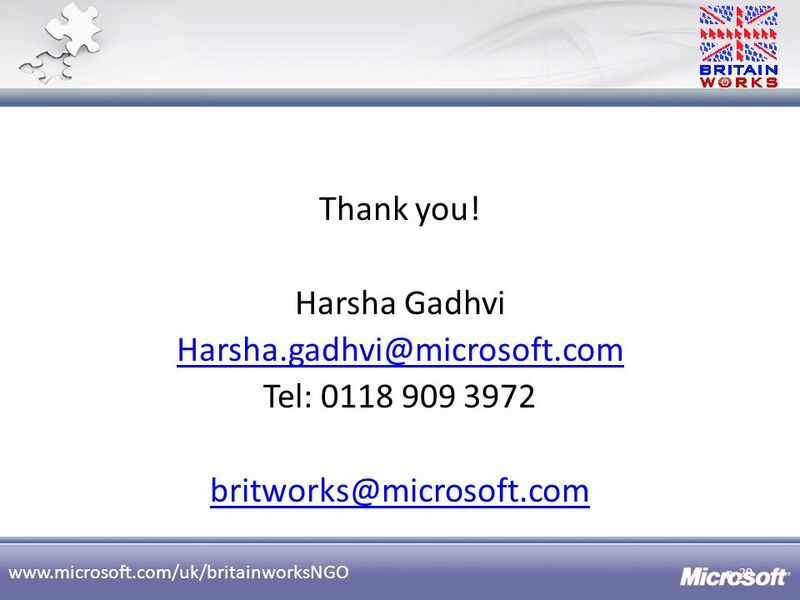 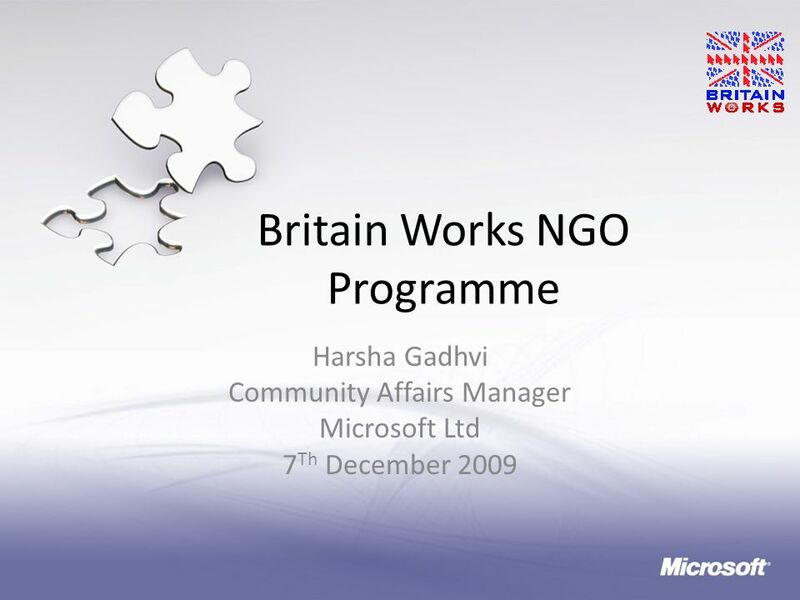 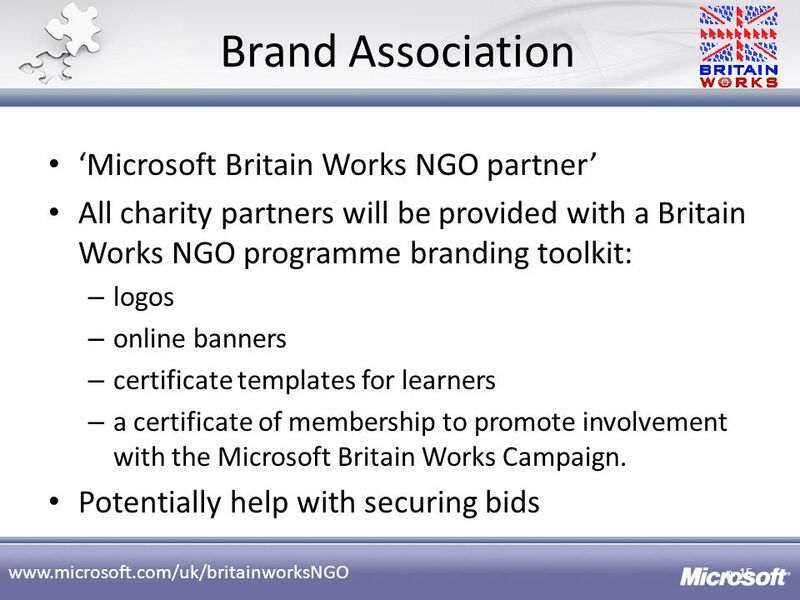 Download ppt "Britain Works NGO Programme"
TLC COLLEGE Wolverhampton How to access funding streams TLC College and Black Country ICT Gateway Experience. 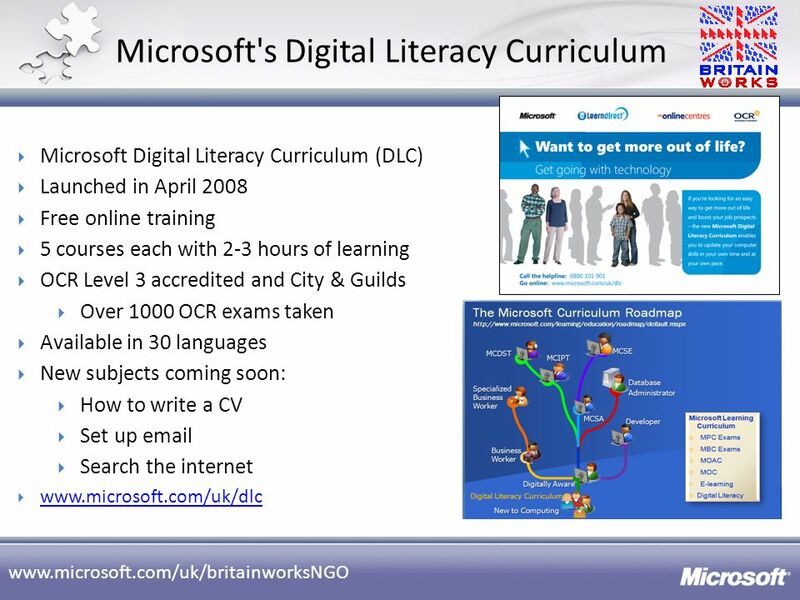 National Grid Engineering our Future Tony Moloney, Manager UK Technical Learning & Development Presentation to ETB - April 2009. 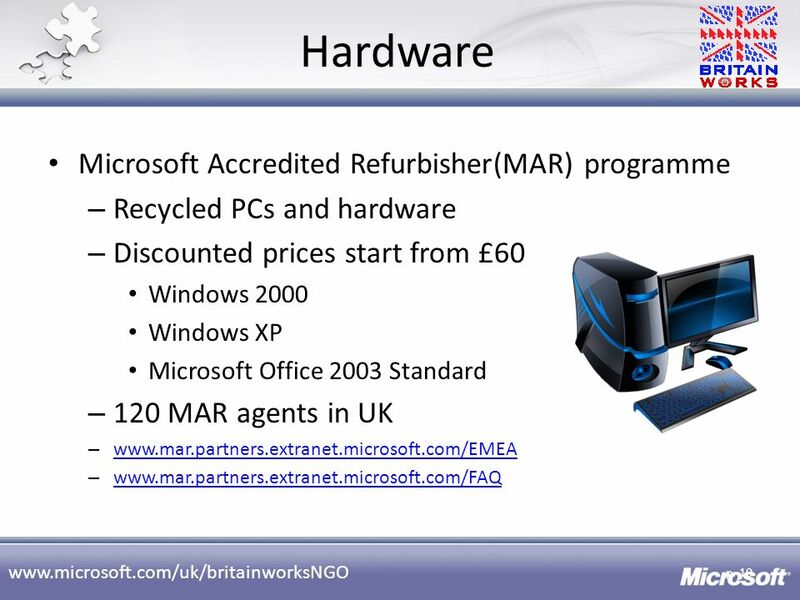 Our Vision To be the most respected and outstanding real estate enterprise in the Region GDP Growth Rate. 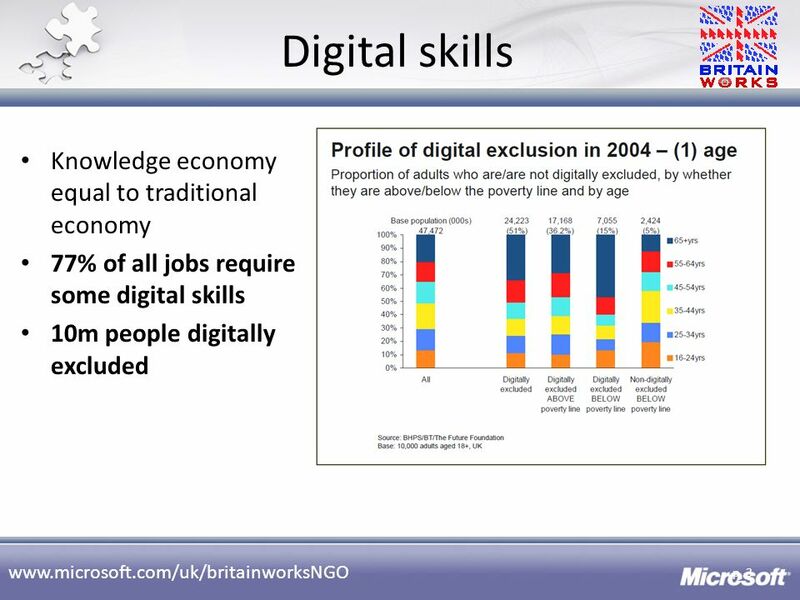 AoC Technology Conference April 2008 Jane Williams Executive Director FE, Skills & Regeneration.